Compton is one the nation’s most beloved cities, especially for hip hop fans. Though well-respected for its music, the city also has quite the reputation when it comes to gangs and violence. As a result of the crack epidemic and the United States’ malicious Drug War of the 1980s, decades of gang-related violence plagued the streets of Compton. While local and national media painted the city as gang-infested and hopeless, the public grew accustomed to images of extreme violence, crime, and police brutality. Fast forward to today and gang violence continues to pose a threat to Compton’s youth. However, there are some hometown heroes stepping up to advocate for change. Mayor Aja Brown and world-renowned rapper Kendrick Lamar are two of the city’s champions working towards putting an end to gang violence. Both Aja and Kendrick have first-hand experiences losing friends and family to gang culture. Their dedication to the community has motivated them to reach back into their city and promote a message of unity and peace. Unlike politicians who sit back and make decisions about their communities without ever stepping foot in them, Aja chooses to work with people in the streets to best serve their needs. In 2014, she held a meeting with 75 active gang members to discuss actions to reduce the city’s violent killings. The consensus was that they needed access to more jobs. In response, Aja created “Compton Empowered”, a community-based gang reduction and intervention initiative. Compton Empowered encourages ex-gang members to take back their neighborhoods through peace treaties and employment opportunities. Within the first six months of the program, Compton saw a 50% decrease in homicides and placed over 30 former gang members in jobs. Her brave and bold efforts are working. 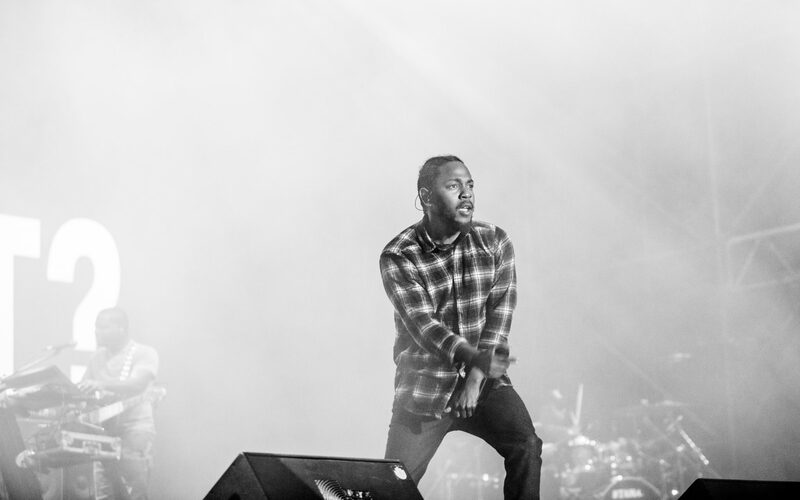 As for Kendrick Lamar, his music masterfully blends conscious and gangster rap. He paints vivid pictures of daily life in Compton for young African-Americans. Lamar appeals to a wide audience while still being one of the most important voices for the streets. His experiences have led him to maintain a genuine commitment to his people. While Kendrick has been criticized for his Reebok endorsement, he transformed his opportunity from simply endorsing a shoe to creating a product with a message. It’s aimed at bringing together local Bloods and Crips. One shoe says “Red” and the other “Blue” with matching accent colors on the front of the shoe. Inside the tongue reads “neutral” as a clear plea for peace. Most rappers price their shoes and clothes excessively high. Kendrick’s are affordable and accessible to those in the community he cares about. More than just a shoe, these are a symbol of Kendrick’s purpose-driven career. The partnership reimagines the way celebrities brand themselves and engage social issues. Historically, politicians and rappers have often been at odds with each other. Therefore, what is happening in Compton is rare and beautiful. Aja’s political clout and access to city partners, such as Boys & Girls Club and youth women’s empowerment organizations, combined with Kendrick’s access to millions around the world, make them a dynamic force when working towards the same goals.